2018 Acura RLX vs. 2019 BMW 530: Compare reviews, safety ratings, fuel economy, etc. Due to its greater rear head- and legroom, backseat passengers will be able to stretch out a lot more in the Acura RLX than the BMW 530. As far as headroom and legroom go, there's not much difference between the Acura RLX and the BMW 530 in the front seats. 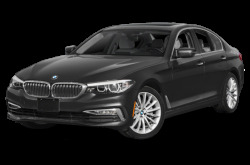 The BMW 530 requires fewer visits to the gas station than the Acura RLX, making it more convenient to drive. There are a lot of factors to consider when calculating the overall cost of a vehicle. The main consideration is Manufacturer's Suggested Retail Price (MSRP). The Acura RLX is somewhat more expensive than the BMW 530. Another consideration is the Destination Charge, which is a standard charge for transporting the vehicle to the dealer from where it's built. The Acura RLX and the BMW 530 have similar Destination Charges. The Acura RLX is a little wider than the BMW 530, so getting in and out of the car in a crowded parking lot may be a little more of a squeeze. When looking at overall length, the Acura RLX takes up about the same amount of space in your garage as the BMW 530. With somewhat higher torque, the engine of the Acura RLX transmits a bit more power to the wheels than the BMW 530. The Acura RLX has about the same turning radius as the BMW 530, allowing equal maneuverability in and out of tight spots. When it comes to horsepower, the Acura RLX is somewhat more powerful than the BMW 530. In terms of seating you'll be able to fit the same number of people in both the Acura RLX and the BMW 530. The Acura RLX has significantly less cargo room than the BMW 530, which may be a concern if you do a lot of warehouse shopping. The Acura RLX comes with essentially the same basic warranty as the BMW 530. 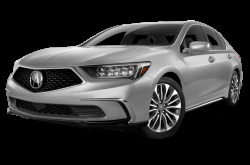 Compare the 2018 Acura RLX and the 2019 BMW 530. Days on Lot measures the average number of days a model sits on a dealer's lot before it's sold. This is one predictor of a dealer's willingness to negotiate.